Wendy’s launched a brutal ad campaign that slams McDonald’s for using frozen beef in burgers. However, McDonald’s plans to roll out fresh, never frozen beef for certain burgers at nearly all US restaurants by mid-2018. By focusing on frozen beef as its advantage over McDonald’s, Wendy’s could be shooting itself in the foot. Wendy’s brutal anti-McDonald’s ad campaign could backfire for the fast-food chain. The chain kicked off its new campaign with a Super Bowl ad, criticising the “Frozen Arches” for not using fresh beef in its burgers. “The iceberg that sank the Titanic was frozen, too,” the ad stated. The commercial is part of a larger national TV ad campaign the calls out McDonald’s for using frozen beef patties in its hamburgers. Wendy’s has also repeatedly taken shots at McDonald’s frozen beef on Twitter. However, Wendy’s emphasis on frozen beef as its primary advantage over McDonald’s may be misguided, as McDonald’s is currently rolling out its own fresh, never frozen beef patties across the US. McDonald’s plans to complete its rollout of fresh beef quarter pound burgers in “essentially all” US locations by mid-2018, Nomura analyst Mark Kalinowski wrote in a note in January. 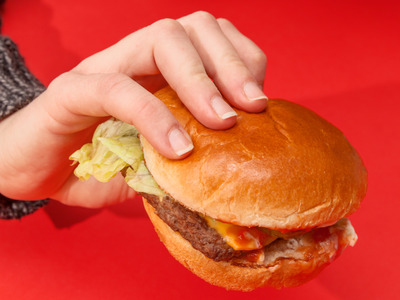 “We believe this – coupled with marketing touting Quarter Pounders and the other burgers (e.g. Signature Crafted burgers) that use quarter-pound beef patties as ‘Cooked right when you order. Hotter. Juicier.’ – will help McDonald’s same-store sales during 2018, particularly in the second half,” Kalinowski wrote. In other words, while McDonald’s isn’t currently planning to switch to fresh beef for all of its burgers, customers who want fresh beef will soon be able to order burgers made with never-frozen patties at McDonald’s across the US. As a result, fresh beef burgers will soon no longer be a distinguishing factor for Wendy’s, especially in comparison to McDonald’s. 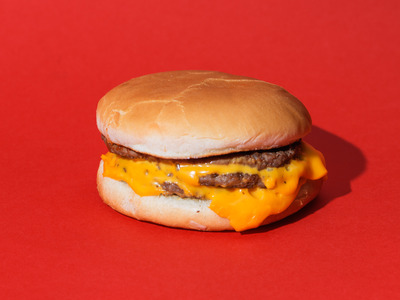 “All I can say, if Wendy’s knew how well the fresh quarter pounder beef was doing at $MCD (and taking business away from competitors) they would steer clear of any reference of it,” the Twitter account McD Truth tweeted over the weekend.